There has been a lot of controversy surrounding the cover of this book, but Bloomsbury has recently made a new cover for it, which is the cover that I am using for this review, I have to say that I like this cover much better than the previous, and I think it fits the book better. This book had a really great premise, I mean an enchanted automaton? I have never heard of a book with that idea! And the characters were really believe! I fell in love with Namira and Erris. The plot was gripping and i fell into it. Dolamore's writing was exquisite, her ability to pull me into the novel was really nice and I cannot wait for more from her! 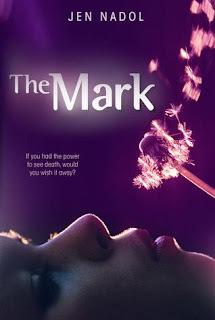 Some problems I had with the book, was that I felt that the ending was not resolved well enough, and the ending seemed a bit disconnected, like there should be a sequel or something of that nature. Besides that I enjoyed this novel, and cannot wait (hopefully) for the next book and more from Dolamore! 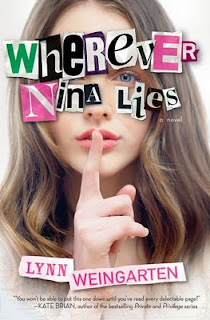 You have the chance to win one of three paperback copies of Wherever Nina lies by Lynn Weingarten! I really enjoyed this book, and my review will be posted soon.Visit the book's site for more info! Lynn Weingarten spends a lot of time writing in coffee shops while occasionally reading strangers’ laptops over their shoulders. In the past she has been a book editor, a barista, a counter girl at a bakery in Ireland , a waitress at a bar, and a seller of tiny homemade clay animals. She lives in New York City . Wherever Nina Lies was her first novel. 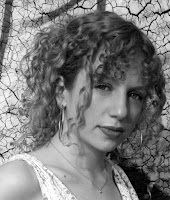 Please visit her online at www.lynnweingarten.com. The Dark Divine by Bree Despain has a beautiful cover!!! Do you want nails like the cover model? Well you can! They have made a nail polish to match the cover!! I think this is such a great idea, so of course you can win one of four bottles of nail polish! All you have to do is either write a short story about forgiveness or a short story about a time it was hard for you to forgive! I will be choosing my two favorite stories from each category to win a bottle of nail polish. So make sure to enter!!! You can enter both of them to increase your chances of winning. The reason the stories need to be about forgiveness is because forgiveness is a big part of The Dark Divine! Must write a short story about forgiveness, or about a time where it was hard for you to forgive! I have always loved historical fiction! I don't know what it is about it, but I love it! Even though Romeo and Juliet was never my favorite I was excited to see a different interpretation of the story. This was my first Robin Maxwell book, but with her power of storytelling, I will definitely be picking up some more of her books. I really enjoyed seeing into Romeo and Juliet's heads, it made the personal story even more personal. Even though the story takes place in a different time and place, then in the original, I felt that the story did not suffer at all from the setting change. 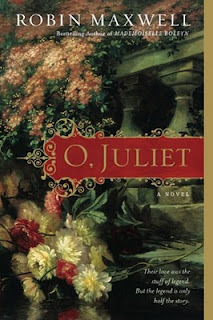 I liked that Juliet was treated like an individual person, not just always connected to Romeo, like in some other interpretations. I really enjoyed how I felt so much more for Romeo and Juliet in this version because their story was more real to me, which I really appreciated. Even though I obviously knew the ending I was heartbroken when it happened which is a testament to Maxwell's talent. The only problem I had with this book was I felt that parts of it were kind of boring, and even though I know some of it was necessary, I was bored for a little while in the middle of the book, but the characters really got me through it! Overall a good historical retelling! 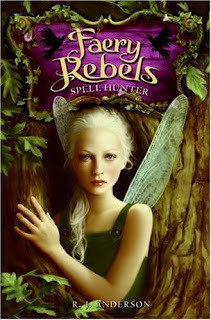 Spell Hunter was an interesting detour from the normal fae books, which was really refreshing. While I could definitely tell this was a MG book, it was pretty captivating. I wish Anderson would have gone into greater detail about the reason the magic was gone. I was really expecting more from this book, so I was slightly disappointed, She did not really go indepth into the storyline, just skimmed the surface. But Knife was a really fun character and her relationship with Paul was really cool, I enjoyed her take-charge, no holds-barred spirit, which I think really needs to be instilled in young girls. While I was expecting more from this book, it was pretty good, the characters were cool and different. Adventuring Tip: A quick, light, ok read. Yes I do these very sporadically but oh well. In My Mailbox is hosted by The Story Siren and is inspired by Alea of Pop Culture Junkie! A pretty good week! I was really excited to get my Book Depository Order! I really enjoyed this series, I decided to do one review for them all because I felt there was not enough to say to fill three reviews, also I wanted to give as little away as possible. 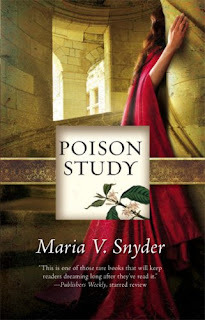 I'd have to say my favorite book in this series was Poison Study, there was so much intrigue, and interest, i really liked the idea of Ixian tradition and the storyline that, that brought. I enjoyed the fast paced manner of this one better than in the other two books. 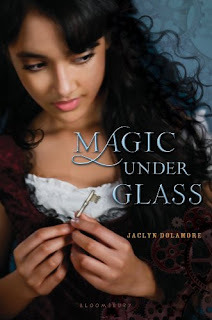 While Poison Study was my favorite I really enjoyed Magic, and Fire Study as well, while there was too much traveling for me in these books, I loved the new aspect of romance, and the more political sense that they had. Overall this series was good, but the last two kind of left me wishing for less traveling. I loved Yelena and Valek, as well as all the other characters in these books! 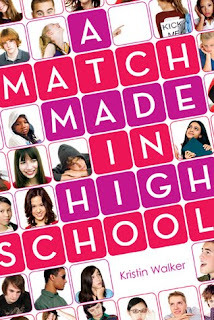 When the principal announces that every senior must participate in a mandatory year-long Marriage Education program, Fiona Sheehan believes that her life can’t get any worse. Then she marries her “husband”: Jerky jock Todd, whose cheerleader girlfriend, Amanda, has had it in for Fiona since day one of second grade. Even worse? Amanda is paired with Fiona’s long-term crush, Gabe. At least Fiona is doing better than her best friend, Marcie, who is paired up with the very quiet, very mysterious Johnny Mercer. Pranks, fights, misunderstandings, and reconciliations ensue in an almost Shakespearean comedy of errors about mistaken first impressions, convoluted coupling, and hidden crushes. Oh my gosh this book was hilarious! Warning don't read in public or everyone will think you are insane. The banter that goes on in between Fiona and Todd, is so funny. Besides that this book was really good, the characters were all very different and had their own distinct personalities, the plot was interesting while somewhat predictable, there were some parts that I was definitely not expecting. I really appreciated the message that was portrayed in this book, while not being too pushy. Again this book was hilarious and dealt with some real life issues that really make the story relate-able, I mean who hasn't been stuck with an unwanted project partner? This is a great Debut and I cannot wait for more from this talented author! And the cover is beautiful! This was a very interesting premise, I have never read a book with this topic, it was very poignant, and made me think hard about what I would do in Cassandra's situation! Cassandra's life was very interesting and it seemed that everything that could happen did, which was a little hard to believe but painted a good scene for the novel. Her personality was very relate-able, and I really felt what she did. Jen really developed very interesting characters. This book kind of made me squirm when she was in her relationship, but besides that it was very good. The only main problem I had with it was the fact that it just cut off, I wished the ending could have been less of just a cut off, even though there is going to be a sequel.